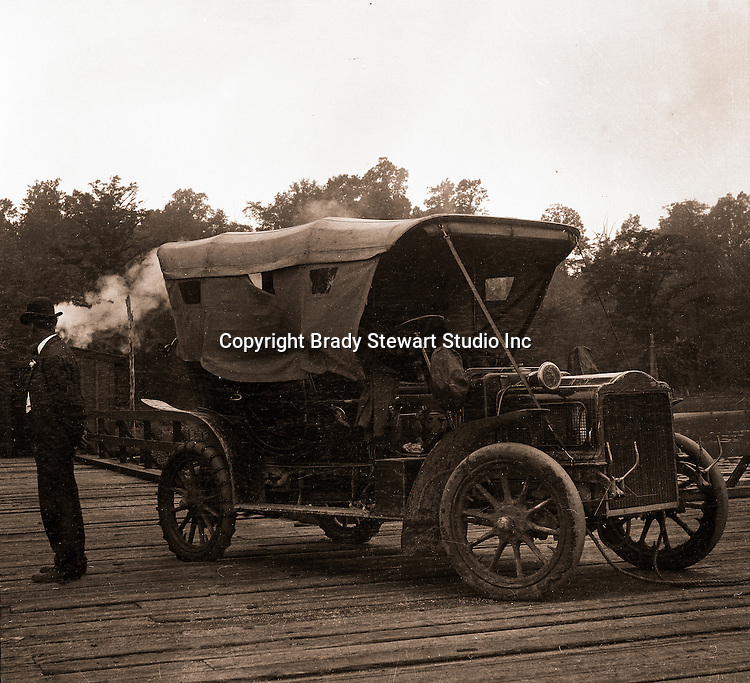 Richmond VA: Brady Stewart and his 1906 Buick Model F waiting on a pole ferry to cross a river near RIchmond - 1907. Brady Stewart continued to travel throughout the region after his brothers untimely death. Since both the Stewarts and Bradys families were active during the Civil and Revolutionary Wars, he decided to visit Richmond and battlefields along the way.